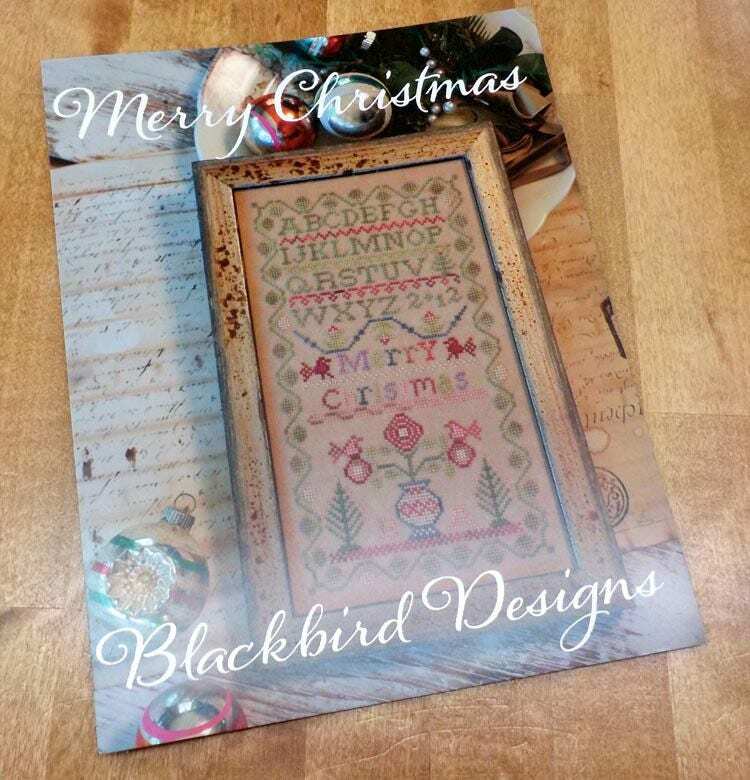 Merry Christmas by Blackbird Designs...cross-stitch design. Merry Christmas finishes at 4 3/8 x 8 inches. Pattern is stitched on 35 count linen.